You can be hurt by a third party and make a claim against such party by filing out a legal case. At most cases, you feel hurt by someone else’s fault and decide to make a claim on the third party/ offender’s insurance through his/her insurance company thereby receiving compensation for loss or injury that the third party might have caused you, this process is called personal injury claims. In simpler form, personal injury claims is a legal case you file out if you have been injured in an accident by which the fault is from that person and the person who is called the third party offers compensation for loss. The process of making a claim is usually called a lawsuit. Law suits are report filed against whoever caused harm to you through reckless conduct or negligence. The compensation for negligence is usually in monetary form through a settlement or a judgment ( as in the case of court decisions). Most personal injury cases are not negligence of the other party but in some cases the third party may intentionally carryout this act of defamation or form reckless conduct thereby causing injury or damages. 3 The party had a duty to act reasonably to the circumstances. 4 You suffered monetary damage due to the harm you suffered when the party breached its duty of care. It should be noted that claims are not just fused upon the third party in any way he/she feels like, it primarily depends on the seriousness of the injury (e.g brain damage or resulting to loss of memory, broken bones e.t.c). These kinds of injuries receive higher injury settlements. In most cases, personal injury claims begins by filing a case with a document by the court which is called a complaint. This complaint documents features the parties to the case, what the defendant did wrong?, what went wrong that can cause the injury and what kind of complaint the plaintiff is seeking…. The session is usually not a conversation but in a court where both parties tend to prove and disapprove till finally someone wins the case. If the plaintiff wins the case there will be a compensation either in lump-sum or chosen by the third party but where the case is been won by the third party then there will not be any compensation for any injury or damages. In case where the third party continues to object to the complaint after court judgment then the complaint could apply for damages or for harassment without significant reason mentioned by the third party. 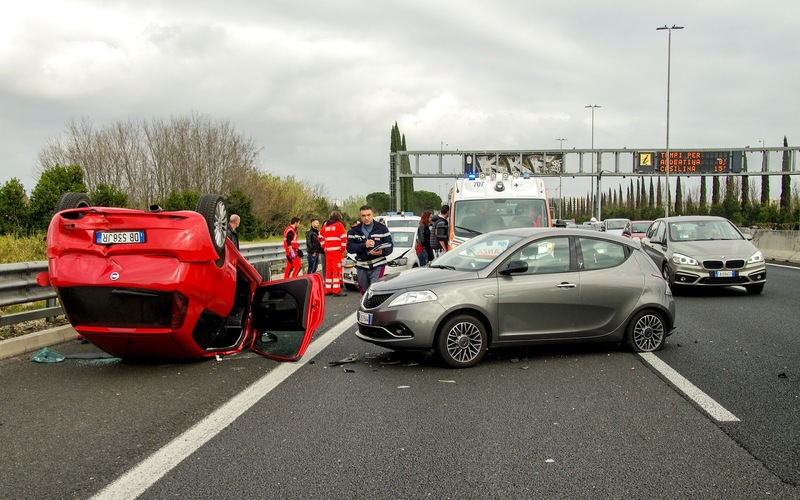 After an accident might have occurred, you as the injured person is left with two options which are either to file a claim immediately against or to make a negotiation or settlement. Negotiating a settlement is a part of personal injury claims that begins when you as the injured person reports your case to the insurance company thereby making a claim, if after filing a claim, you decide to accept what the insurance company have to offer then every claim process ends immediately because there has been a settlement but if you decided to reject the offer and seek the help of a personal injury lawyer to file a personal injury lawsuit. 2 Receiving a reservation of rights letter from the at-faults insurance company means the insurance company have decided to look into claim and give you a feedback but this does not mean they have accepted to compensate you for the loss. 3 A demand letter is necessary to send to the insurance company because it lays out the indept of what really happened in the accident and everything that would have flow out-of-pocket expenses like medical bills, replacement of damaged vehicle and others and this is known as special damages, then if you also decide to add the pains you suffered in the cause of the accident then this is known as general damages, combining the general and special damages is your full settlement demand. 4 What you should expect next is the response from the claims adjuster on your demand letter. This response is usually to negotiate on how the settlement claim would end up. The claim adjuster will normally want to perform his/her duties by trying to force you in accepting an offer lower than what you are claiming or what your injuries are equal to by telling you the accident you involved in are not worth your special demand, he/she may try to pressure or force you in accepting his/her offer, relax, relax again, you are the one injured, you should be able to stand on your right and never accept what you feel is not equal to the injuries you suffered, you should reject the claims offered and make a counter offer. C how long you are willing to stand up to secure your compensation for injuries. 5 You are free to make a counter offer if you are not comfortable with the claim adjuster’ offer and this is done by writing a letter to the claim adjuster clearly stating that you do not accept his/her offer and why you did not accept the offer but this time you should reduce the settlement claim a bit to make it look like you were a little bit considerate and willing to bring the negotiations to a close. 6 Patience is the key to receiving a fairly considerable settlement offer in the sense that the more you try to be inquisitive about the offer, the claim adjuster tries to take advantage of you thinking more delayed feedback/reply can make you accept his/her offer which will eventually harm your chance of having a balanced settlement. So you should be patient enough to wait until the claim adjuster makes another offer or settles for yours. You must also continue to be on your ground by pointing at every opportunity to witnesses of your injuries and losses. 7 Accepting or rejecting the claim adjuster final offer: If the claim adjuster decides not to change or reach a final settlement you could either accept or reject the offer, if you decide to accept the offer, then it should be on a fair ground where the offer is equal to your special demand or a close range but if you are not satisfied with the claim adjusters final settlement offer, you may want to file a lawsuit because this requires a special skill and training of which you have no idea of then taking up a lawyer for this will be a better option. 1 Be prepared by knowing the steps in the claim process, negotiating a settlement offer and gathering enough evidence and witnesses. 2 Be patient enough in order to arrive at a descent claim offer but you also must not be weak in pursuing a settlement process, you should be persistent and follow up request for the case not to take forever. 1 Can I cancel my car accident claims? Along the line you might wish to cancel your claim, it might be a good idea if you decide to cancel your claim but fully consider and understand the implications of withdrawing an insurance claim before doing so. Sometimes you might want to withdraw your claim because the at-fault driver promises or issues a check to cover up the cost of medical bills and damages but this one-time payment may not be able to cover up your future cost, and every other cost will be out-of-pocket expenses. So it is best that if you are not willing to go through a claim process it is better not to start it up. So if you decide to cancel the claim, all you need to do is to contact the Insurance Company by filing out a form or by writing a report but make sure you go through the right channels. 2 If you decide to make a claim, how long do negotiations take? Well in my best of knowledge, it can take up to one or two weeks for the insurance company t act on your special or general demand letter or even both then from this time it can take up to weeks or even months before a settlement that favors you can be reached depending on the flow and speedy process between you the injured person, the at-fault party, and the insurance company. 3 What is the time limit to a personal injury claim? This varies from country to country but on a normal basis every personal injury claim should commenced within 3 years of event. Most types of personal injury claims usually covers for brain and spinal cord injuries as the most critical of them all. 1 Car/Vehicle Accidents: This has to do with injuries occurring from broken bones, bleeding or even damaged organs. If you suffer an injury through car accident then the insurance company will cover you for the injuries, at least a portion of it. But one disadvantage about this is that your claim may exceed its limits of the policy and you may need to sue a third party in order to arrive at your settlement offer. 2 Assaults: If you have been assaulted by harmful objects or by a gun, you may want to sue the party for assault and yes, you have the right to do. A skilled personal injury lawyer may be taken up to help you with the claim process and sometimes going as far as suing the gun manufacturer or a gun store for not providing an adequate security information when there was none provided. A Prescribing the wrong dose of drug to its patient. B Performing the wrong treatment. C Recommending treatment that goes against the medical standard. D Failing or delay in diagnosing a patient’s condition. 4 Refusal to treat a condition or possibly reluctant to do so which eventually led to harm or injuries. 5 Sale of dangerous Products: A pharmaceutical store that sells dangerous product knowingly or unknowingly can be sued for damages because this can actually kill you. A) Products that do not perform as promised or as prescribed; for example a malaria drug which is supposed to heal you of malaria but end up causing damage in the body system. B) Poison proposed to be a healing drug which you never asked for.